Nokia has opened a new head office in Wellington to accommodate 120 staff and a host of business functions. The new office, located at 1 Grey Street, will house New Zealand-based teams supporting network design, engineering, delivery and operations, software integration, services, sales and corporate roles. The opening was formalised by Minister of Finance Grant Robertson and Nokia head of Oceania Zoltan Losteiner. 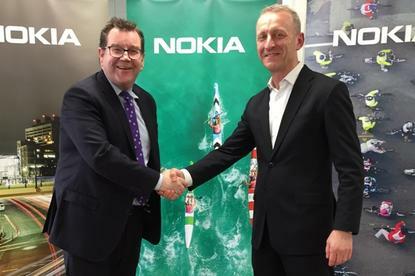 "Nokia has more than 90 years heritage in New Zealand and our new head office is a great platform to support the next phase of industry development combining our global technology scale and local expertise," Losteiner said. "Our ambition is strong and I look forward to building new engagements with business and the academic sector to help drive innovation and accelerate new business models in areas like IoT for agriculture and transport." Nokia employs more than 200 people in New Zealand with offices in Wellington, Auckland and Christchurch as well as a Wellington integration lab and a network operations centre in Hamilton. New Zealand also serves as the base for Nokia's Pacific Islands business. For the year to 31 December 2017, Nokia NZ recorded $152.6 million in sales, up from $122 million and profit of $5.7 million, up from $5.1 million. Furthermore, the company delivers technology and services for major telecommunications providers Chorus, Spark and Vodafone New Zealand, as well as a growing number of major enterprises, utilities and government organisations.